In the 1980s the United States of America tried to improve its relations with China. Because of this policy the US government refused the delivery of the Northrop F-20 Tigershark to Taiwan in 1982. Taiwan's selected alternative fighter for the F-20, the General Dynamics F-16 Falcon, was also not to be exported to Taiwan. Taiwan decided to develop a fighter itself to supplement and replace its fleet of F-5E Tiger IIs and F-104s and develope a BVR capability.. 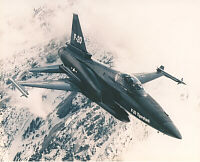 The program, Indigenous Defensive Fighter (IDF), was based on extensive cooperation between the Taiwanese aerospace industry and several US companies, including General Dynamics, Westinghouse, Honeywell and Lear. The Taiching based Aerospace Industrial Development Corporation (AIDC) was the main contractor. Formed for the development of the engine was the International Turbine Engine Corporation (ITEC), a joint venture between AIDC and Allied Signal. On 10 December 1988 the first IDF prototype was rolled out and on 28 May 1989 it made its first flight. The Taiwanese president named the aircraft Ching-Kuo after the late, former Taiwanese president who laid foundations for the indigenous Taiwanese aerospace industry. In total four prototypes were built, three single-seat and one two-seat variant. One of the single-seat prototypes was lost during a test flight. After having completed another 10 pre-production aircraft, full production began and deliveries started early 1994. In December 1994 the first squadron of IDF or Ching-Kuo fighters was formed, achieving initial operational capability in 1995. In 1998, in service F-CK-1s were rotated to AIDC for a limited post-production upgrade, including GEC-Marconi (now BAE SYSTEMS) Combined Interrogator/Transponder (CIT), Litton Improved Radar Warning Receivers (IRWRs), and Rockwell Collins Instrument Landing System (ILS). Original plans were to produce up to 250 aircraft, some sources even state 400 or more, however production ended late 1999 at 130. Reportedly 102 single-seaters and 28 two-seaters had been produced. Taiwan had decided to purchase the F-16 now the Bush administration authorized the sale of more military technology to Taiwan. Having already acquired Mirage 2000 fighter from French to fill the gap, no more IDF aircraft were needed. Subsequently plans for more powerful engines were scrapped. The 130th aircraft was delivered on 14 January 2000 and entered service in July. Taiwan now operates two wings of Ching-Kuo fighters based at Ching Chuan Kang AB (Taicheng) and Tainan AB. In 2001, AIDC started development of the upgraded F-CK-1C/D. On October 9, 2006, flight testing of the upgraded F-CK-1 IDF began when first single-seat F-CK-1C prototype (10005/958136) undertook its maiden flight from AIDC's facility at Taichung. On March 27, 2007, the first two-seat F-CK-1D prototype (10006/96-8137) was also unveiled at a ceremony, attended by president Chen Shui-bian, who formally named the new variant Hsung Ying (Goshawk), instead of the earlier announced name of Shiang-Seng. - Air Forces Monthly #226 January 2007, p.20, Key Publishing Ltd, UK. - Air Forces Monthly #231 June 2007, p.23, Key Publishing Ltd, UK. - Green, W. and G. Swanborough (2004), The complete book of Fighters, pp. 11-12, Greenwich Editions, UK. - Munro, B. and C. Chant (1999), Collins Jane's Combat Aircraft, pp.42-43, HarperCollins Publishers, UK.